The Esoteric Studies Research and Teaching Group, in conjunction with the School of History, Philosophy, Religion and Classics at the University of Queensland presents the 3rd Annual Alternative Expressions of the Numinous Conference Date: Friday 15 – Sunday 17 August 2008 Venue: School of History, Philosophy, Religion and Classics, University of Queensland, St Lucia Campus, Brisbane, Australia Conference Chairs: Dr Helen Farley, Julie Washington, and Håkan Sandgren Call for Papers: Abstracts (250 words) are invited for, but not limited to, the following strands: Esotericism Mysticism Alternative expressions of major religions Religions of re-enchantment Popular culture religions Indigenous religions Paganism and Neo-Paganism New Religious Movements Personalised religion Alternative methodologies The conference committee is open to proposals for workshops and panels. Deadlines: Abstracts: Monday 30 June 2008 For more information contact: Helen Farley Conference Co-Chair School of History, Philosophy, Religion and Classics St Lucia Q 4072 Australia Ph: + 617 3365 6324 (Outside Australia) 07 3365 6324 Fax: +617 3365 1968 (Outside Australia) 07 3365 1968 Email: The School of History, Philosophy, Religion and Classics (HPRC) at the University of Queensland, houses the largest Studies in Religion department in Australia. The University of Queensland is one of Australia’s prestigious Go8 universities and is also a member of Universitas 21. For more information about the University of Queensland, go to: www.uq.edu.au. For more information about the School of History, Philosophy, Religion and Classics go to: www.uq.edu.au/hprc/ The University is readily accessible from the city by bus or Citycat. Brisbane is Australia’s third largest city. With an idyllic sub-tropical climate, it boasts beautiful, lush parks and gardens located on the Brisbane River. The city is just over an hour’s drive from either the Gold Coast or the Sunshine Coast. The mountainous hinterlands provide spectacular scenery and tropical rainforests. For more information about holidaying in South East Queensland, visit www.queenslandholidays.com.au. For more information about Brisbane, visit: www.ourbrisbane.com. Brisbane is serviced by the Brisbane International Airport with trains, buses and taxies to take you into the City. In addition to the News button on the ESSWE site, we have now opened an ESSWE blog. If you want to participate, please click the link! The rules are as follows: All visitors can read the posts. All members of the ESSWE can comment on posts. All members of the board of ESSWE may make posts to the blog for announcements of events, books, etc. Members of the ESSWE should submit announcements and articles to the editor, Mark Sedgwick. The topic of the 2008 CESNUR conference is "Twenty Years and More: Research into Minority Religions, New Religious Movements and 'the New Spirituality.'" This international conference is organized by INFORM and CESNUR in association with ISORECEA at the London School of Economics, 16-19th April 2008. Ph.D. VACANCY IN THE DOMAIN OF WESTERN ESOTERICISM Universiteit van Amsterdam, 2007 The Universiteit van Amsterdam (UvA) is a university with an excellent international reputation. It is located in Amsterdam, well-known as a center for culture, media, and research. The UvA is a member of the League of European Research Universities. The Faculty of Humanities offers teaching and research programs with a strong international profile, within a large number of disciplines in the domains of language and culture. The Faculty is located in the center of Amsterdam and maintains intensive contacts with many cultural organizations in the capital. The Faculty has almost a thousand employees, and its teaching programs are followed by ca. 6,500 students. The Research Institute for Culture and History (ICG) has programs for Archaeology, History, Literature, Art & Cultural Heritage, the Golden Age, and European Studies. The emphasis lies on studying European culture from a historical perspective. Important in that regard is that texts and artefacts are studied in the context in which they emerged and functioned. 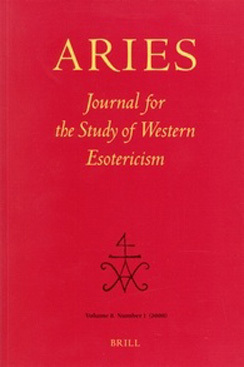 The program “Western Esotericism: Continuities and Discontinuities” focuses on critical historical and empirical research in the domain of History of Hermetic Philosophy and Related Currents, also referred to as Western Esotericism. For a description of the program, see www.amsterdamhermetica.nl (under “Research”). In the context of this research program, the Center for History of Hermetic Philosophy and Related Currents now has a vacancy for a PhD position (m/f) full-time, or part-time (75 %) vacancy number 07-3050 For both internal and external candidates The intention is that the research proposal will focus on a relevant topic in the period from the Enlightenment (18th century) to the present. 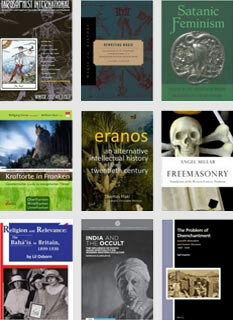 The interrelation of esoteric religiosity with all aspects of Western culture (religion, philosophy, art, literature, music) means that the domain of research is strongly interdisciplinary or multidisciplinary in nature; the vacancy is therefore open to candidates from all disciplines in the humanities. ACTIVITIES The candidate is expected to write and complete a Ph.D. dissertation within a period of three years (or within four years in case of a part-time position). The dissertation should be written in English. The job interviews will be conducted in the English language as well. APPOINTMENT The appointment is expected to take effect as of January 1, 2008, on the basis of a temporary contract for one year. After having successfully completed this first year, the candidate will be employed for another two years. The gross monthly salary will be in accordance with the University regulations for academic personnel, and will range from a minimum of € 2,279 in the first year to a maximum of € 2,502 in the last year. INFORMATION For further information, candidates can contact Prof. Dr. W.J. Hanegraaff, Oude Turfmarkt 147, 1012 GC Amsterdam. Tel. : +20 5253570/3571. Email: A standard format to be used in writing the research proposal can be downloaded from www.amsterdamhermetica.nl (under “Study Programs”, see “Ph.D. Opportunities”). APPLICATION Candidates should send their letters of application, along with their CV, list of grades, and research proposal in English (or in Dutch, with an English translation), before November 1, 2007 to the coordinator of the Institute for Culture and History, Drs. P.J. Koopman, Spuistraat 134, 1012 VB Amsterdam. E-mail . Applications received later than November 1 will not be taken into consideration. The CAMBRIDGE CENTRE for the study of WESTERN ESOTERICISM is independent of any academic or esoteric communities. The co-ordinators share an interest in the need for a wider dialogue between scholars and practitioners in the field of western esotericism and in the establishment of a secular space in which an interdisciplinary network can thrive. CCWE wishes to establish a secular space in which scholars and practitioners of Western Esotericism can meet with the aim of promoting a continuing dialogue. It is often difficult for scholars and those more generally interested in esoteric disciplines to meet practitioners, and for practitioners already involved in a group or teaching to gain access to a wide range of scholarly information about the teaching. CCWE aims to provide several spaces where these contacts can take place. Through: - information exchanged via an internet blog; - meetings held in a neutral public space in Cambridge; - through a conference in Cambridge in July 2007. The draft program of the inaugural conference of ESSWE, hold at Tübingen University, Germany, 20-22 July 2007. The response to the Call for Papers for the inaugural conference of the ESSWE in Tübingen (Germany), 20-22 July 2007, has been enormous. The program committee and a selection committee have already begun to evaluate the more than 70 proposals and to work on a tentative program. The official deadline for submitting proposals is 31 December 2006. (See the Call for Papers under "Agenda".) The program committee is very glad about the overall good quality of proposals and the good mixture of accomplished scholars and graduate students. This conference will become a major event. Speakers in the main program will include Jan Assmann, Jean-Pierre Brach, Giulio Busi, Allison Coudert, Joscelyn Godwin, Nicholas Goodrick-Clarke, Wouter J. Hanegraaff, Moshe Idel, Andreas Kilcher, Jean-Pierre Laurant, Christine Maillard, Martin Mulsow, Monika Neugebauer-Wölk, Marco Pasi, Wilhelm Schmidt-Biggemann, Mark Sedgwick, Michael Stausberg, Kocku von Stuckrad, Steve Wasserstrom. The Call for Paper for an international conference on "Western Esotericism" (15-17 August 2007), organized by the Donner Institute, Åbo (Turku), Finland, is out now. Although the Call for Papers is in Swedish, the conference language will be English. For more information, see "Agenda" or the conference website.